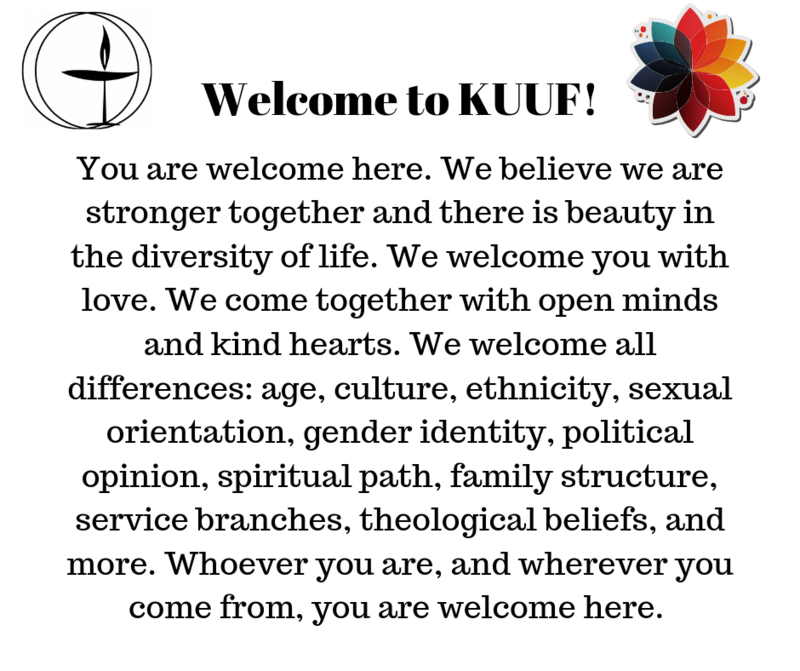 We are a progressive religious community, radically inclusive, welcoming all. We value the free and responsible search for truth and meaning, and are guided by reason, conscience, and compassion. We encourage intellectual inquiry, foster spiritual growth, and promote social justice & environmental responsibility. We welcome you at any time and hope you can find your Faith Community with us. To learn more about Unitarian Universalism, click here. the 2nd and 4th Sunday of every month. Kapaun Chapel on Vogelweh Airbase. will be announced on our FB page. If you are interested in planning or co-leading a service which speaks to your passion, feel free to email us at kaisuuf@gmail.com. We welcome you! is led by Rev. Greg Dubow. Chaplain Dubow is an Air Force Chaplain and an ordained UU Minister. We are so pleased to have him help guide us on our spiritual journeys. Retreatin Berlin, 7 - 10 June, 2019.